This archive holds all posts form September 2008. Niall Cook, author of Enterprise 2.0 and Hill and Knowlton‘s Worldwide Director of Marketing Technology, will speak at both Third Tuesday Toronto on October 7 and Third Tuesday Ottawa on October 8. Social media has taken the Internet by storm, generating an unprecedented level of audience participation in corporate communications and marketing that were previously tightly controlled. Niall Cook is Hill & Knowlton’s worldwide director of marketing technology and author of Enterprise 2.0, one of the first books to explain the impact that social software will have inside companies. Join Niall as he introduces this emerging landscape and the key concepts that make up ‘Enterprise 2.0’. Using examples from well known companies in different industry sectors, he will illustrate how to apply enterprise 2.0 thinking to encourage communication, cooperation, collaboration and connections between employees and stakeholders in your own company. This will be a rare chance to meet and talk with a social media expert from the U.K. You can register online to attend Third Tuesday Toronto on October 7 or to attend Third Tuesday Ottawa on October 8. Brendan Hodgson and I will be in Calgary to speak at a Canadian Institute Conference on Social Media on September 24 and 25. The prior evening, September 23, we’re planning an informal Third Tuesday social media meetup. We’re hoping to meet folks from Calgary who are interested in talking about the evolution of social media and how Calgary communicators, developers, marketers and designers are adopting and adapting it to serve their needs and those of their communities. So, if you plan to be in Calgary on September 23 and you’re interested in an evening of discussion with others who share your interest in social media, register to attend at the Third Tuesday Calgary meetup group. UPDATE: Kate Trgovac will also join us. She’s in Calgary on September 23 to present a day long workshop on social media. Terry Fallis tells us that the McClelland and Stewart edition of his Leacock Award-winning novel, The Best Laid Plans, has now shipped to bookstores. 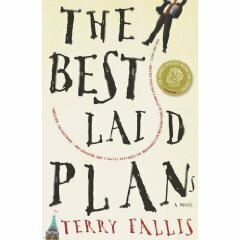 I read Terry Fallis’ Best Laid Plans in the original self-published edition. And it left me with a smile at every sitting, from beginning to end. Terry’s protagonist is the noble idealist that we all wish actually would populate the halls of power. Come to think of it, as a long time friend of Terry, there was a lot of Terry in his hero. Terry for PM? Terry has written about something he knows well. As a one time political aide, he writes about the political machinations with an insiders eye. And he brings out the humour and fun for us all to share. The only problem with the book? It ended. So, time for Terry to write a sequel. Maybe our hero should find himself in the Canadian Embassy in Washington as a representtive of the newly elected government? The Best Laid Plans. A great, entertaining read. The Best Laid Plans was a thoroughly entertaining, laugh out loud read. And thanks to McClelland and Stewart publishing it, you can share in that fun. Order your copy from Chapters or Amazon.